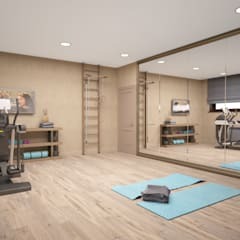 What is the perfect home gym design? 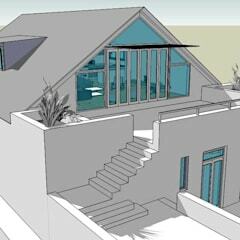 Like a living room layout or kitchen setup, it all depends on personal preference. 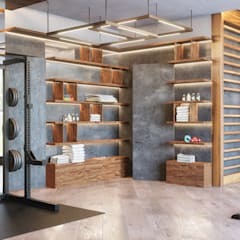 Ideally, though, every gym design will have an organic look that while filling up space with equipment, still offers plenty of legroom to move around. 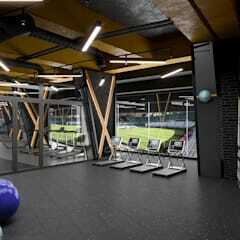 Remember that a gym should create a sense of comfort, confidence and, most importantly, productivity, as you will be using it for exercise and to build up both your body and your mind. 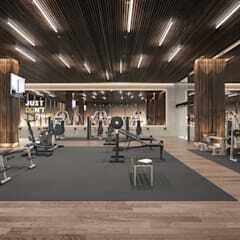 A gym cluttered with too many elements will result in the complete opposite of what you’re trying to achieve. 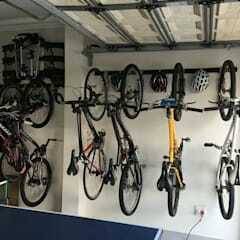 Where can I find home gym ideas? Inspiration can come from any number of places. 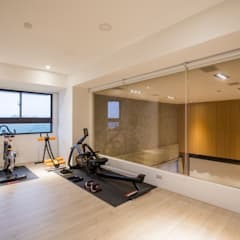 Throughout the homify website you can find countless examples of other home gyms for a little style, layout, and equipment inspiration. Keep your inspiration at the ready with the help of a homify ideabook, which acts as a virtual picture scrapbook full of ideas. 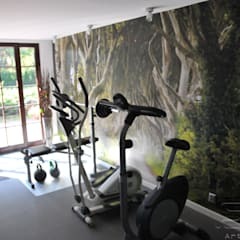 You can even add text notes to your ideabook so that you build up a mind’s eye picture of your ideal home gym over time. 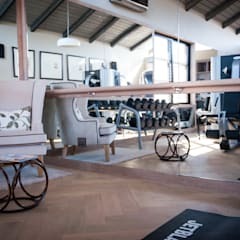 And don’t forget to check out our articles detailing various spaces and rooms, including home gyms, for further tips and tricks on what to do and, perhaps more importantly, what not to do when it comes to style and design. 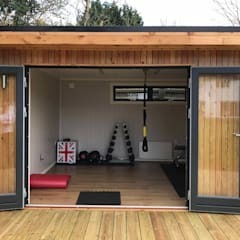 One of the most important things to bear in mind, regardless of where you find your inspiration from and what style or size your home gym is going to be, is to add some of your own personal touches to it – after all, it is your personal space. How do I go about building a home gym? 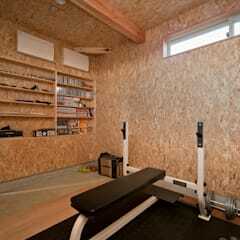 There are generally two ways of designing and building a home gym. 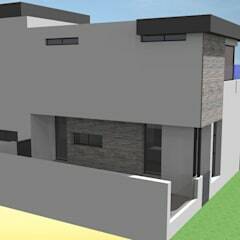 The most common method is designing and building it yourself, which tends to be a little more time-consuming, but can help cut costs. 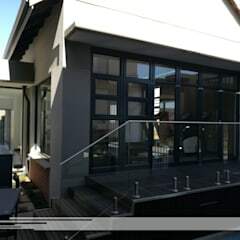 The second method is to hire a professional who can handle converting a spare room into a home gym (or create one from scratch, like an interior designer/architect/builder), as well as purchasing and installing all of the necessary equipment. 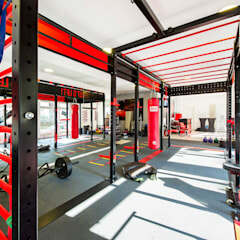 Although the second method comes with the peace of mind that you will soon have your dream gym professionally fitted, it also comes with a greater costs. What wall colour should I choose for my home gym? 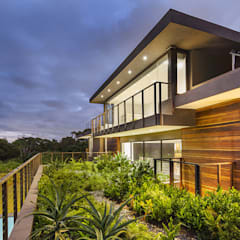 Personal choice plays a big role, however, there are certain hues that are ill-suited for certain rooms and their functions. 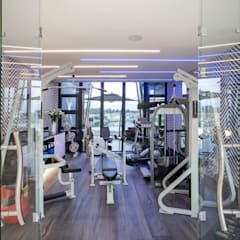 While a living room can be styled up in basically any colours (although neutral and earthy hues are the norm), home gyms usually opt for colours that help incorporate a feeling of accomplishment and confidence. Different colours add different vibes to a home gym. A zesty orange or hot red can help you feel energetic, while soft blues and greens can create a cooling ambience. Where rooms (gyms or otherwise) don’t have any windows, we recommend going with a cheery yellow for the walls, as it can help set up positive vibes and a light feeling to compensate for the lack of natural lighting. 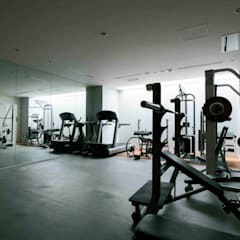 Don’t overlook the ceiling (the fifth wall) of your gym, as you might be spending a lot of time looking up at it, depending on your equipment or exercises. A deep, rich colour such as grey or stone blue can help with an atmosphere of determination while also ‘cooling’ the room. 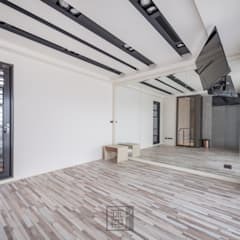 What flooring should I use for my home gym? 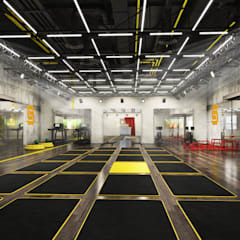 Regardless of which area or storey your gym is located, it is vital that its floor is made of a durable, non-slippery material. This is not only for your safety, but also to protect the floor, seeing as it’ll be exposed to lots of heavy equipment, weights, etc. 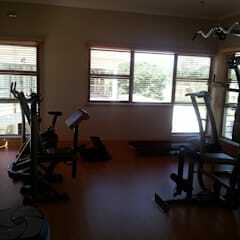 As you would imagine, cleanliness is a prime concern in an exercise room. Go with floors that are easy to keep clean and sanitized. 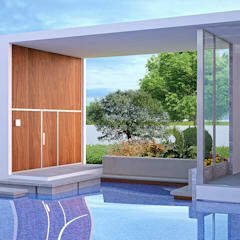 For this consideration, a synthetic hard floor is your best choice. 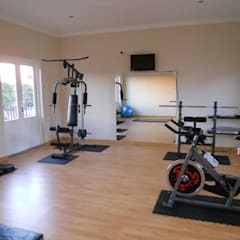 Popular choices for gyms in South Africa and abroad include: rubber horse stall mats, virgin rubber floor tiles, cork, interlocking foam tiles, and laminate flooring (for light exercise like yoga and pilates). That depends on what your goal is. If you’re looking to bulk up muscle-wise, then you can’t go wrong with free weights like dumbbells, barbells, benches, and sturdy racks to stow the weights. 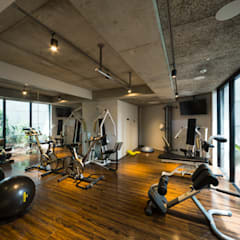 For general fitness, useful equipment includes yoga mats, exercise balls, benches, and kettle bells. Depending on how far you want to stretch your budget, you can also purchase a treadmill, rowing machine, and exercise bike. 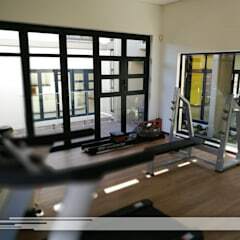 One piece of equipment that numerous home-gym owners opt for is a multi-gym machine, offering a range of different exercises that target various muscle groups and body areas. 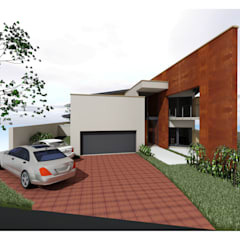 These differ in price, size and style, so it’s best to look around before you buy. It’s quite straightforward. First, the room needs to be stripped of furnishings and unsuitable flooring. Consider where in your home / on your property the gym is, as your exercising / loud music might disrupt others. If possible, soundproofing the walls with special insulating foam can help noise escaping the room. 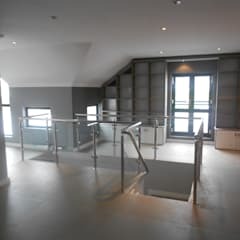 The walls and ceiling should also be painted the appropriate colours before the new flooring (if necessary) is fitted. Posters and artwork to help motivate you can also be added to decorate the space and set up character. Lastly, know beforehand where all of the equipment should be placed, as this can cut down on any future rearranging afterwards.